Standing on top of the vessel next to the dorsal hatch, nothing looked out of the ordinary with the exception of the silence that filled her ears again like when she first arrived on Paradise. But, Anna could not help the feeling that something was not right. She glanced all around her for anything that appeared unfamiliar. Nothing. Walking to the aft section, she stood next to the tail fin above the engine assembly and searched again. This time, she caught the glint of something in the woods a fair distance behind the ship. She pulled the binoculars out of her belt and hunted for the source of the reflected light. A few seconds later, Anna located what looked to be an air cycle parked about a hundred meters back just beyond the tree line. No, she saw two of them there. But, where were the drivers? They had to be somewhere, and why didn’t they make themselves known? Any company would be welcome at this point. Scratch that. Any company would be good, as long as they weren’t trying to kill her. Before she had a chance to find out, she felt a sharp blow on the back of her head, and everything went black. Never a good sign, I'd say! 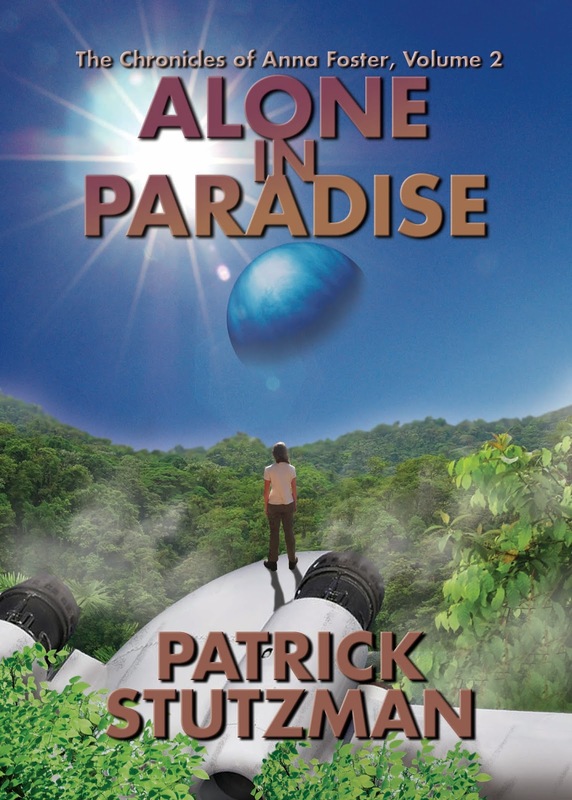 Now, Patrick has graciously agreed to give out a free e-book copy of Alone in Paradise to one lucky commenter (of his choosing). So, be sure to comment on this post so you can be entered to win! And if you don't happen to win the free e-book, you can always pick up a copy over at the usual haunts (Amazon, B&N, etc.) 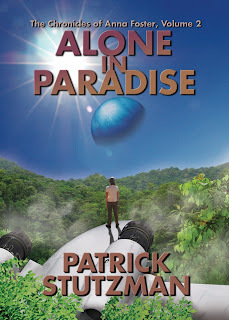 or head over to Patrick's site for a paperback copy.